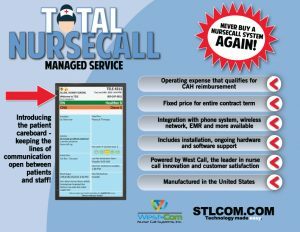 Nursecall Symptom Checker - STL Communications Inc. Given the amount of technology in a hospital, it is ironic that the pencil and paper are still the primary way that many staff members record information and communicate. The Smart Hospital Healthcare organizations are beginning to realize that there are nearly endless possibilities when everything is connected; when people, processes and systems all work together seamlessly. 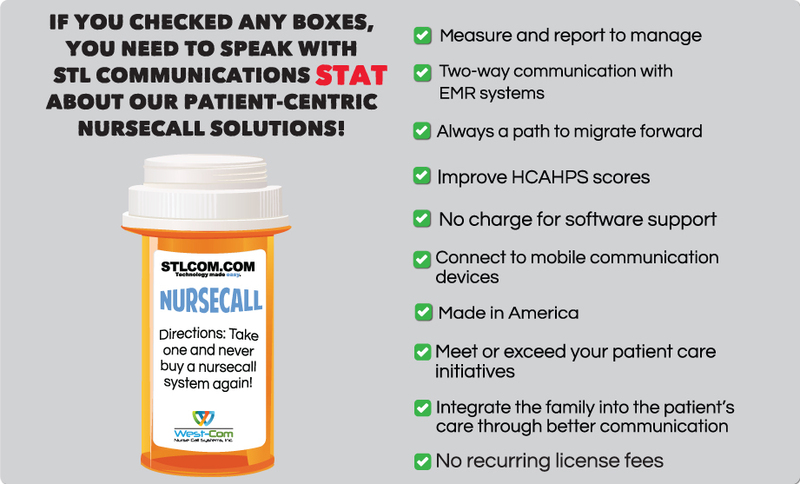 That’s the vision of the STL Communications smart hospital. By using communications technologies to make the right connections, hospitals and healthcare organizations can improve: Quality of patient care, cost of services, staffing shortages, facility capacity constraints, security and privacy.